Let’s talk risotto. I love ordering it in restaurants but it can be a heavy dish full of cream. 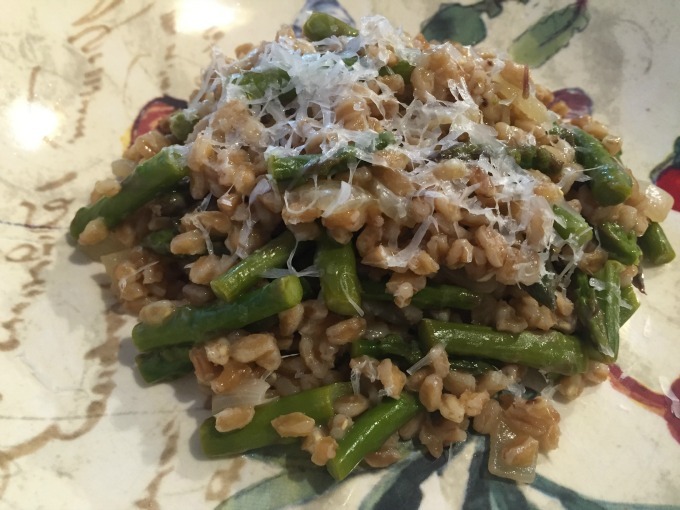 I made a lightened up version with my Beet Farro Risotto that is fantastic but this new version is even easier in that the asparagus doesn’t need to be cooked first. It’s a delicious and satisfying vegetarian dish that is quick and easy to prepare. 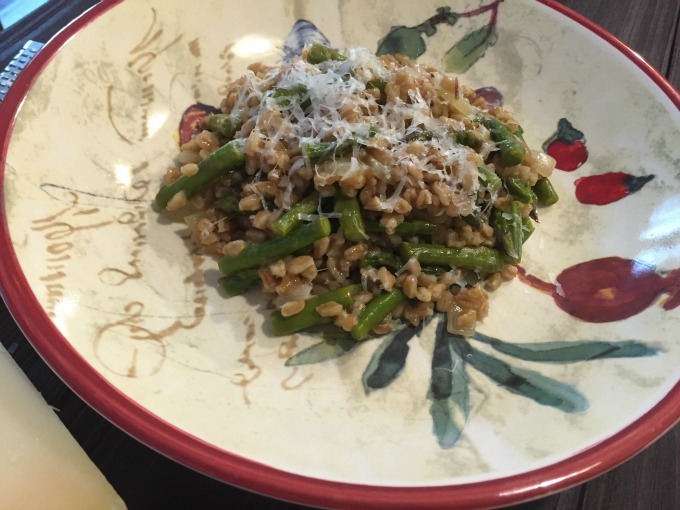 I use farro in place of arborio rice because it is much healthier. Farro is high in fiber and magnesium. 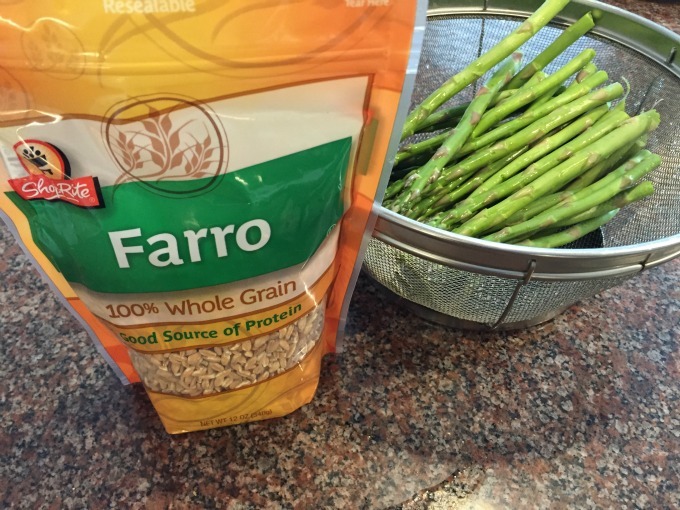 People often ask me if farro can be found in mainstream supermarkets and the answer is yes! I buy it at Shoprite in the grains aisle. The preparation for this dish is very similar to a traditional risotto. You start by heating up vegetable broth. Next, you sauté an onion in olive oil for about five minutes before adding the farro. Add some white wine and cook that until it is absorbed. Then you start adding your broth a couple ladlefuls at a time. When it has cooked off, you add more broth. This process takes about twenty-five minutes. 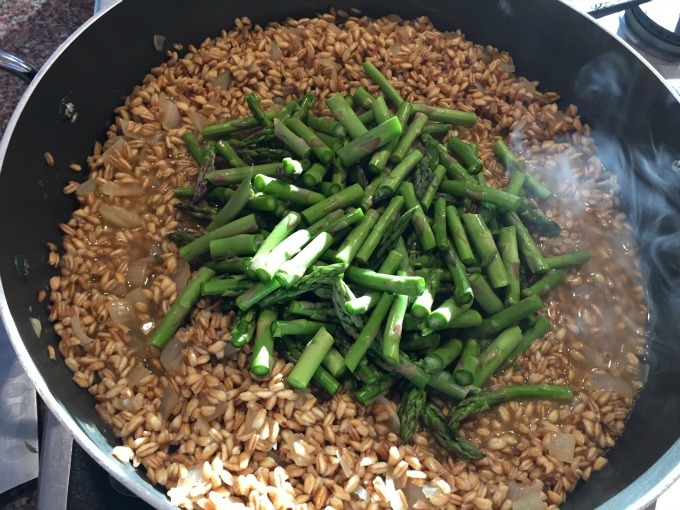 About halfway through add the asparagus which will cook at the same time as the farro. At the very end add the lemon zest, lemon juice and parmesan cheese. 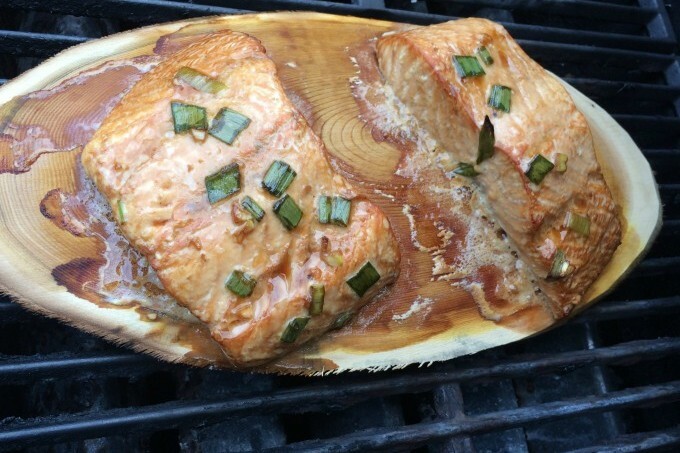 Serve this with a delicious salad and glass of wine. 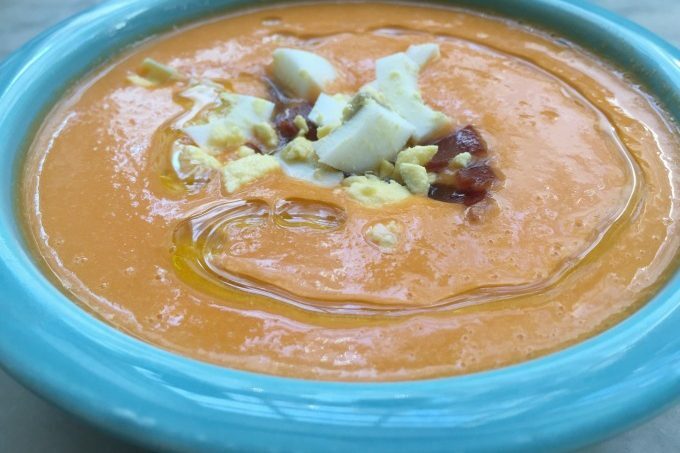 This is a much healthier and lighter version of one of my favorite dishes! Bring vegetable broth to a boil and then turn heat off. In a large saucepan heat oil over medium heat. Add onion and cook until softened, about 5 minutes. Add farro and cook until glistening, about 2 minutes. Add wine and cook until absorbed. Add 2 ladlefuls of broth to pan and cook, stirring constantly, until mostly absorbed. Continue adding 2 ladlefuls of broth at a time until farro cooked. This should take about 25 minutes. About halfway through the process of adding broth, add the asparagus. When farro seems cooked, add lemon zest, lemon juice and parmesan cheese. Stir until combined. Adjust seasonings. Top with additional parmesan cheese for serving. 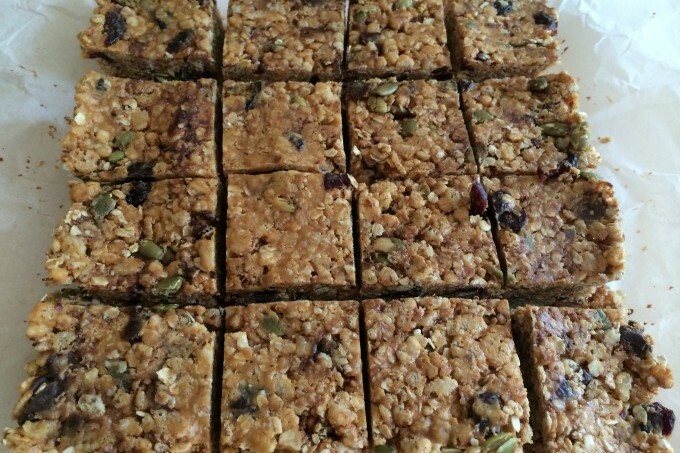 Made this last week - so good - my youngest one loved it and I had some the next day as a post run meal - was perfect!!! And so fresh - love using farro instead of traditional risotto as a healthy alternative. Will make this again for sure.